When Samuel Beckett’s play „Krapp’s Last Tape“ premiered in Paris in 1958, I was only eleven; I could not have known that the relatively new medium of audiotape and the possibility of the magnetic storage of memories was being treated in literature for the first time. And, even four years later – when I finally saw a German version of the play myself – it served only to confirm to me that I had done the right thing when I had purchased a tape recorder five years earlier, as countless audiotapes had quickly become an archive of long-faded voices, sounds and music. Even as a child, this form of audible memory fascinated me. At some point – it may have been 1973 – I read in a music magazine that the band Cluster, which included Michael Rother, the guitarist from NEU!, wanted to found a combo. That news electrified me; as someone who had been occupying himself with synthesizers and tape recorders for quite a few years, I was definitely a Cluster and NEU! fan, I bought their albums religiously and went to their live performances whenever I got the chance. And then the press release mentioned above proved true: Harmonia actually existed. A debut LP had been released and, in 1975, the band paid a visit to Hamburg. Some time earlier I had gotten personally acquainted with the musicians at performances in and around Hamburg, so our encounter in Hamburg was almost like a meeting among friends. 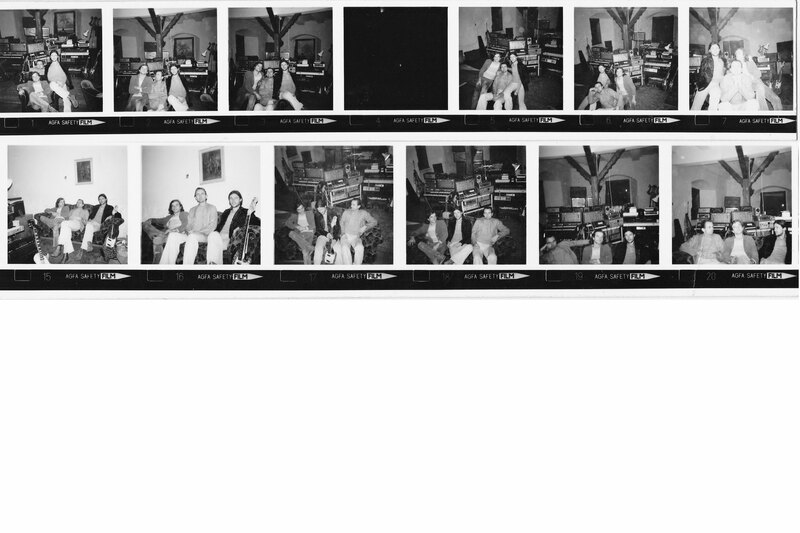 Astoundingly, Harmonia did two gigs in Hamburg: one on February 8, 1975 in Fabrik, and one a day later, on February 9, in the club Onkel Pö, which specialized in modern Jazz. At live shows Harmonia almost always used a professional ReVox A77 tape recorder, either to add pre-recorded sounds to the performance or to record the performance itself. They used the latter either to analyze the performance after the fact and/or to archive it. I don’t know the extent to which the two shows in Hamburg were recorded. How long the recordings were kept for is also unclear. Magnetic tape was very expensive and it would have been an unaffordable luxury to document every live performance in that way. It is more likely that the tapes with the recordings from Onkel Pö and Fabrik were overwritten (i.e. deleted) shortly thereafter and used for other purposes. Just before Harmonia left Hamburg again, I asked Dieter Moebius if he could maybe copy one or two of the pieces they had played in Onkel Pö and Fabrik. He said yes, but I had little hope anything would come of it. I was all the more astonished when mail actually did arrive from Forst a short time later. It wasn’t a crummy cassette recording but an audio tape with a technically flawless copy of one tune from Onkel Pö and one from Fabrik. 38 cm/s, in stereo and on professional audiotape – the way it should be. The tape itself had a peculiar visual feature that I had never seen before, and never saw again afterwards: the strip at the beginning of the reel was pink. It really should have been red or white – or yellow for all I know. Yet it wasn’t that quirky flamboyance that filled me with joy, it was the atmospherically and musically impressive audio document. Both pieces were unmutilated – i.e. full-length recordings – and had been brilliantly recorded by Harmonia themselves (not by me)! I listened to the recordings often after that; they always awakened memories of those two wonderful concerts. 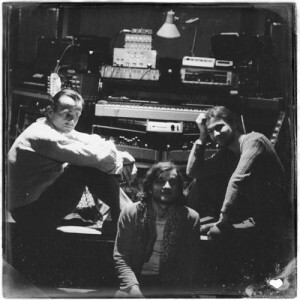 After the band broke up, the group gained a truly historical significance, but at some point – sic transit gloria mundi – it became one piece of archive material among many. It stood, virtually forgotten for nearly 30 years, next to hundreds of other analog audio storage media labeled with the number 263 in an archive that had been moved elsewhere long ago. 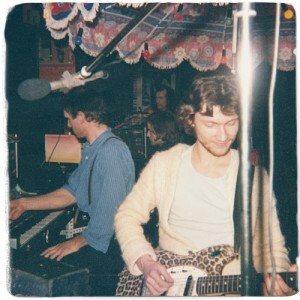 It wasn’t until Michael Rother informed me quite some time ago that a re-release of the two Harmonia LPs with live bonus material was in the works that I was reminded of the treasure I had been holding on to for decades. Naturally, I wanted to make the recordings available for the new release. I quickly found the tape, but what condition would it be in after 40 years? Would it disintegrate in my hands? Or had it gotten sticky due to oxidation? You always have to expect the worst when it comes to old tapes. To cut to the chase: while it was being cautiously digitizing, it became clear that the tape and the recordings were as crisp as they had been on day one. Precise measurements showed no loss in frequency. Even the pink bit of tape strip hadn’t discolored. It was a huge relief and amazing luck. I was all the happier to relinquish the historical material I had. Of course, the Hamburg Harmonia tape is not Krapp’s Last Tape – and it isn’t my last tape either. But it helps jog my magnetic memory of the early 1970s with its musical experimentation and daring ventures. The “long-faded” still exists – even without time travel or esoteric hocus pocus.